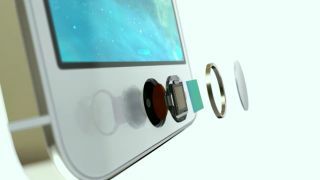 The Touch ID fingerprint reader found on the iPhone 5S is undoubtedly one of its most intriguing new features, but there have been a lot of questions about just how useful it's going to be. While there are certainly a few more queries to be answered, Apple has opened up a little bit more about how secure the sensor-based gateway actually is, stating that you'll need to also create a backup passcode if you're planning to use the Touch ID function. If you haven't unlocked the phone within 48 hours or reboot the device, you'll have to use that password to get in, solving the problem of pesky thieves breaking through the touch-based security wall. But the touch reader won't play nice if you're in a sweaty state as liquids on your fingers will occasionally prevent the device from detecting your touch. And the good news is that if any bright spark thinks cutting off someone's finger (or, less gruesomely, just making a fake fingerprint copy) will get around the security wall on their victim's iPhone, this won't fly either. We're told that the sensor looks for vitality signs to make sure that the finger belongs to a living, breathing person. Apple also insists that it won't be letting any third-party apps to use the scanner, and that the fingerprint data will only be store in the phone itself - not fed back to Apple.